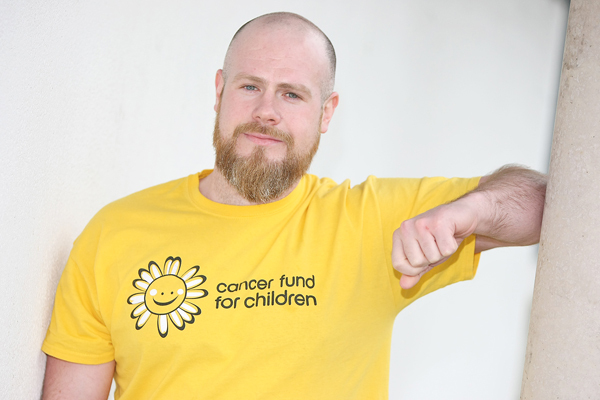 A YOUNG father from Belfast is taking on the challenge of a lifetime in a bid to raise over £4,000 for local cancer charity, a second time around. After trekking the Great Wall of China in aid Cancer Fund for Children (CFC) in 2013, Mark Mead is lacing up his hiking boots once again to take on the world famous Inca Trail in June, in memory of his uncle John Mead, who sadly passed away in 2012. The father of two explained his involvement in fundraising for CFC began five years ago after hearing of the work of the charity. Five years later the 31-year old has raised over £8,000 through various events and challenges over the years. “This charity means a lot to me, and it’s down to it being a charity for children that has done that,” he said. “For me personally, when a child has to go through the experience of having treatment for cancer, it really pulls on my heart strings,” he continued. “I am now a dad to two boys, and my kids mean the world to me. The former CBS pupil has raised £3,839 and counting through various events from charity football matches to the ‘Save and Shave’, which saw participants go for 50 days without a shave. “Those who took part still have their beards. I think we’ve started a trend,” he laughed. “I think these sort of things are quite easy the second time around, but I definitely had to be more creative with the fundraising. “I have been raising funds for this latest appeal for about eight months now and CBS, especially Lawrence Watson, have been very supportive. Along with Malone Integrated College, they have been hosting things like non-uniform days and charity football matches to raise funds. In fact a recent charity match between the two raised over £1,000. Lawrence Watson said the school was delighted to help. “CBS has worked closely with past pupil Mark for several years now to help this charity. Mark is a credit to the school and his community as he tirelessly works to help this amazing cause. Mark is inspired by his own two young boys and his passion for football to bring together past pupils and teachers to help families deal with what must be the most difficult news a family can deal with. “Over the years we have had some wonderful games that have raised thousands of pounds that make a difference. CBS staff remain unbeaten by the way,” he added. Another loyal supporter of Mark’s determined efforts is Kevin Moore of Michael’s Barbers at the Diary Farm on the Stewartstown Road. “Just like CBS, Kevin Moore and his wife at Michael’s Barbers have been a great support to me over the years with collections and stuff,” added Mark. Kevin described Mark as a ‘great fella’ adding he simply wanted to help him with his worthy cause. “He’s just such a lovely fella with a fantastic attitude so when he started his fundraising, even back in 2013, we just wanted to help,” explained Kevin. “So we took some collections at the shops and spread the work through social media in a bid to help him reach his target. Close to 30 participants from across the North will take part in this year’s charity challenge, trekking the Inca Trail in Peru. “Two girls from the China Trek are doing this one too and to be honest that makes it a lot easier, in fact the only thing worrying me is the three flights just to get to Peru,” he said.